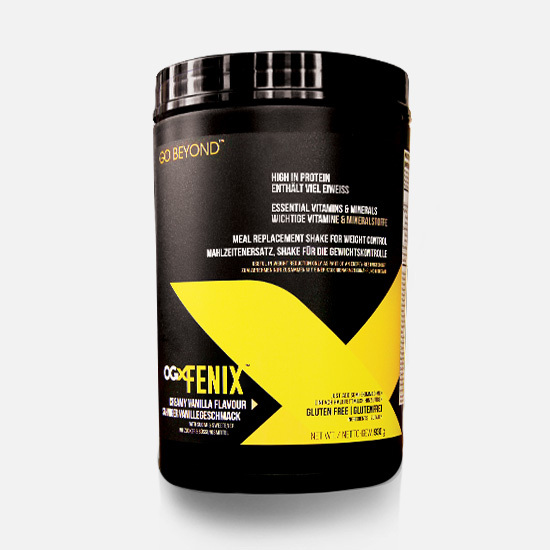 OGX FENIX™ is our proprietary blend of whey protein along with essential vitamins, minerals, fibre and an exclusive Ganoderma mushroom to create a delicious meal replacement shake for weight control. Substituting 2 daily meals of an energy restricted diet per day with the OGX FENIX™ meal replacement shake contributes to weight loss. Substituting 1 daily meal of an energy restricted diet per day with the OGX FENIX™ meal replacement shake contributes to the maintenance of weight after weight loss. 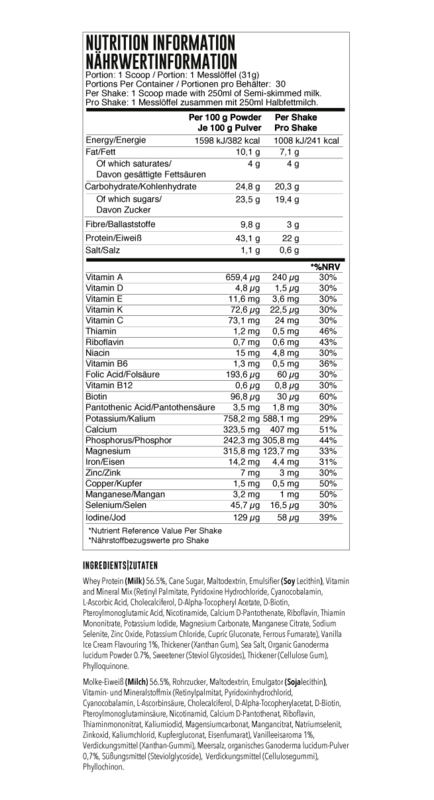 This product is not designed to be your sole source of nutrition and should be used alongside at least one balanced meal each day. It is important to maintain an adequate daily fluid intake. Use as part of a varied and balanced diet and healthy lifestyle. The shake mix contains less than 250kcal when mixed with semi-skimmed milk as directed, to provide you with a balanced meal. The shake features our own proprietary blend of protein, fibre, and nutritional support bringing the Treasures of the Earth to a great tasting shake. Whey Protein contributes to the growth and maintenance of muscle mass. Due to the high amount of protein it helps control appetite. Mix 1 scoop 250 ml of semi – skimmed milk. Please ensure you follow those directions. Enjoy!